The Drone Attack is an unmanned drone meant to engage and suppress the enemy in extremely hazardous areas and situations. 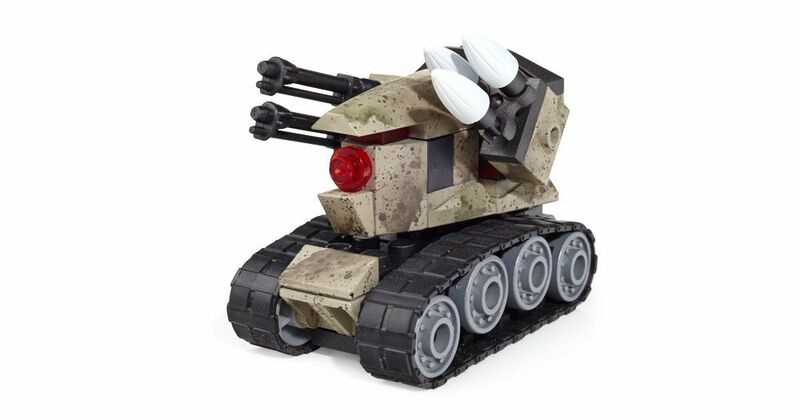 This buildable assault ground drone measures 3.5L x 2.25W x 2.5H in inches with real working treads, mock missile launcher and a 360° rotating turret. 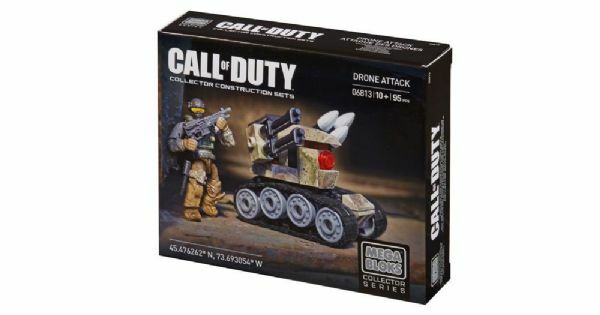 The Drone Attack includes one micro action figure capable of extreme poseability, and highly detailed, authentic interchangeable accessories and weapons that allow for mission-specific customization. Buildable Assault Drone 3.5L x 2.25W x 2.5H inches with working treads, mock missile launcher, and 360° rotating turret. 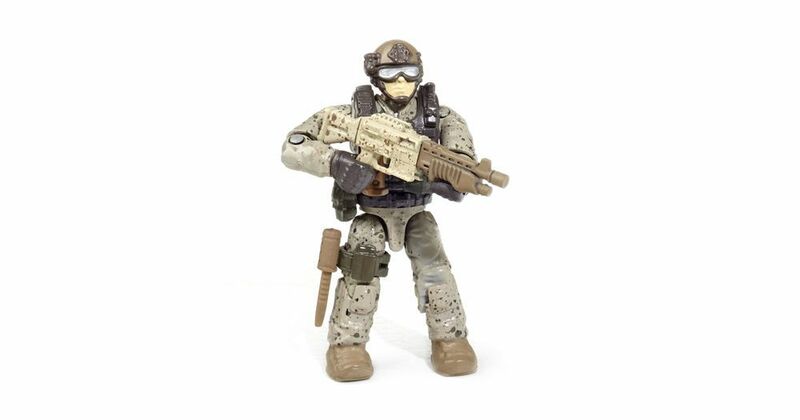 One super poseable micro action figure. Includes eight highly detailed, interchangeable accessories and weapons like a removable combat vest, ammo pouch, combat knife, and more! The Mountain Recon is a single-seated open alpine terrain vehicle for quick one-manned transportation across snow and ice that would make normal travel difficult. This buildable snowmobile measures 5L x 2W x 1.5H in inches, with real working treads, pivoting skis, and rack area to place supply bags for long distance reconnaissance. 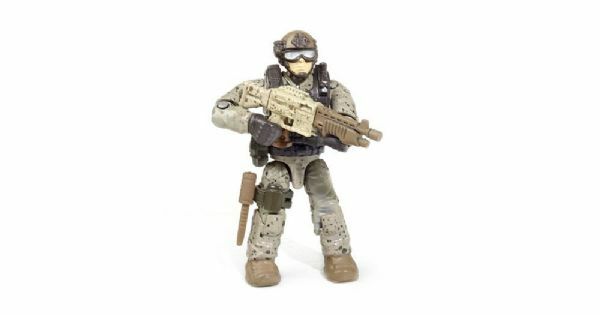 The Mountain Recon includes one micro action figure with extreme poseability, and highly detailed, authentic interchangeable accessories and weapons that allow for mission-specific customization. Buildable snowmobile 5L x 2W x 1.5H inches with working treads, pivoting skis and peg holes for pack storage. 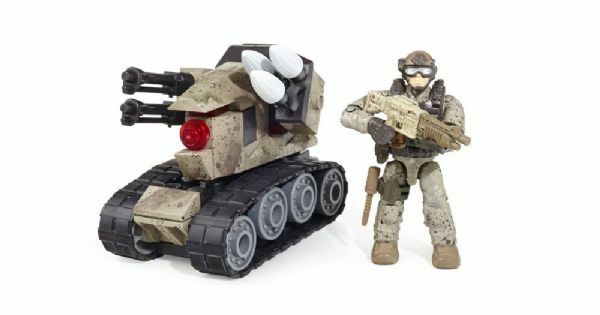 Includes seven highly detailed, interchangeable accessories and weapons like a removable combat vest, long distance backpacks (x2), ammo pouch, combat knife and more!. Suitable for children aged 10+ years.